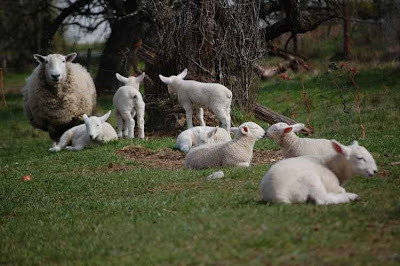 These one month old lambs are a certain sign that spring has arrived in Nanaimo. Lambs usually arrive as twins, with triplets not being all that uncommon. There were at least seven young lambs enjoying the sunshine yesterday at a local mini-farm within the city. It looks like the moms will welcome their annual shearing to get rid of those heavy winter coats they are wearing.